Many children want their very own pet. Social worker Cornelia Dilly makes this dream come true for the children and young people who she supports within the scope of a day group at the youth welfare institution ‘Haus am Kirschberg’ (‘Am Kirschberg House’) in the German state of Hesse. Children can choose their very own fish – or shrimps – and learn about life with the aid of their aquatic friends. Ms Dilly, how many shrimps and fish do you currently have? 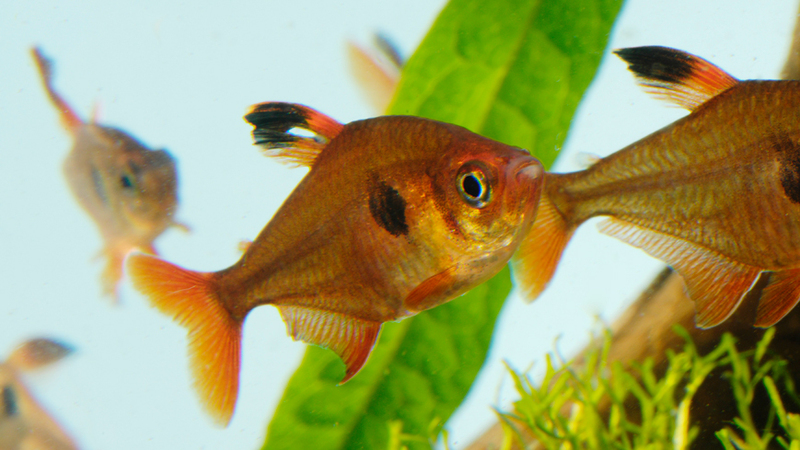 All of the children that come to our centre can choose an aquatic friend if they want one. At the moment, we therefore have about 20 fish of all kinds of species: neon tetras, guppies and black mollies, not to mention the two shrimps and many water snails. How did you come about the idea of offering fish as pets? The children and young people in the day group wanted their own pet. As we close for four weeks over the summer holidays and one of children is allergic to animal hair, however, it was clear that a guinea pig or rabbit was out of the question. I have had an aquarium for years and am aware of how much upkeep they need. We therefore took the children to visit a nearby aquarium, which they were all really excited about. Furthermore, an aquarium does not really create any dirt, cannot trigger allergies and ensures a relationship of closeness and distance with the animals. A relationship of closeness and distance? Yes. For example, I also have a trained therapy dog who I bring to the group. When I do so, I have to be very careful to make sure the children and young people behave properly with him. In the case of fish, this is far easier as the aquarium glass provides a constant barrier. You can look but you can’t touch? Exactly! And the kids absolutely love watching the animals. They carefully monitor how the fish develop. We have therefore also bought books and other materials to enable the children and young people to read about their pets. It is particularly exciting when we have new offspring in the tank. The kids go in search of the little fish. They also chat about their animals and discuss them in the group. Some of them also name their fish. So the children develop relationships with ‘their’ pets? Yes, even if it is ‘only’ a fish, they still develop a relationship. By naming their pet, they give it a personality and characteristics. 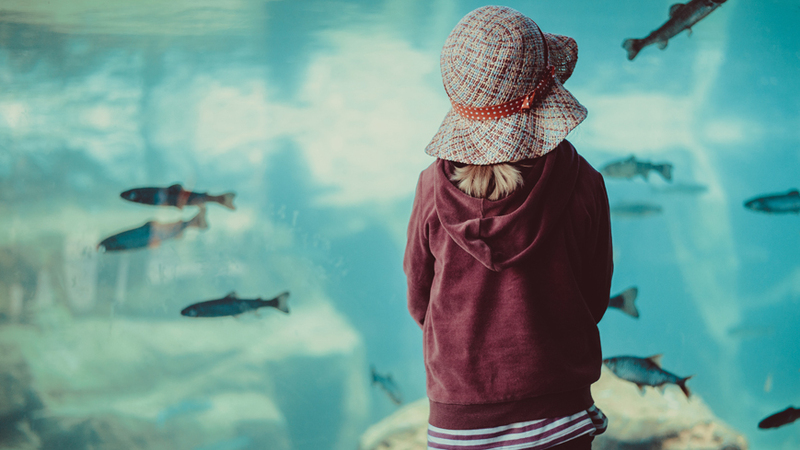 This again creates a bond and a kind of friendship with the aquarium inhabitant, who the children can then tell about their problems and concerns. They take on responsibility and regularly take care of a living being. The children really do learn a great deal. They learn that they are looking after a living being every day and that they have to take on responsibility. This includes having to do certain jobs: the aquarium is cleaned and the filter and aquatic plants are checked in line with a schedule. The children and young people on cooking service each day are also in charge of feeding the fish. These rituals give structure to their everyday lives – slowing the pace and offering a sense of calm. What’s more, the children and young people find that they are trusted to do a job. This in turn makes them feel accepted and valued. And what happens if a fish dies? The children naturally find it hard if their own fish dies. The owner usually wants to take the fish out of the tank him/herself. This is then wrapped in a paper napkin and buried in the garden in a special flower bed. If they want, the children can lay flowers for the fish or write it a farewell letter. It is like a little ‘burial’. Yes, but it also provides an opportunity. At some point, the children and young people will have to say goodbye to someone they love. They therefore have the opportunity to experience this situation with a living creature. They learn what it is like to lose something they love. And we can support them through this as their teachers. This may help them to deal with these kinds of experiences better in the future. The children also console one another; that is also very valuable and creates trust and stability within the group. It is not usually long before the children affected want a new pet. They feel like something is missing and want to look after a living being again. They are then allowed to select and name a new fish and are once again fully involved in the everyday fishkeeping activities.